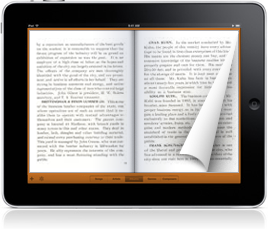 A detailed article about Sell PDF Files. Are you in the business of selling digital downloads, software, or pdf files of any kind? If so, you’re probably looking for the most efficient and cost-effective way to sell your products online. Well, look no further as PayLoadz can definitely help boost your bottom line when it comes to selling secure pdf files online. As you probably already know, selling downloads online is a very rewarding business. When one thinks of selling downloadable products, they may not necessarily think of pdf files, but why not? An Acrobat file is a common file type that almost anyone can download and view on almost any computer. Knowing how accessible pdf files actually are, many products are available in that file format including e-books, manuals, teaching tools, and so much more. In order to successfully sell pdf download files, you just need to know what you’re doing. But don’t worry, that’s why we’re here. PayLoadz knows all there is about selling pdf files and we can help! One of the best ways to do this is through an e-store. What’s an e-store? It’s simply a location online that allows customers to find your products – just like a traditional brick-and-mortar location but strictly on the Internet! Your e-store doesn’t have to be a dedicated website, though that helps. You can simply add a page to an existing blog. As long as the page is clearly written and explains the nature of your pdf files, you are set. How often do you shop for products and abandon a possible purchase when you don’t have sufficient options? Versatility is an essential aspect to selling digital files online successfully. So, what do we mean by this? By putting your product – your pdf downloads – out there you’ll get more sales. Even if you already have a dedicated website for your digital products, there is always something more you can do. In fact, you can even list your pdf downloads in the PayLoadz Store. Our platform will offer customers yet another purchase option, but listing it in our store will reach even more people. Yes, advertising and marketing absolutely count when it comes to selling pdf files online. If you have a great product and it just isn’t selling, then you probably aren’t doing enough in this department. There is no excuse for poor advertising. Regardless of whether your pdf files are e-books, training manuals, or other types of documents – get to work! Remember, if no one knows about your pdf files, how will they ever buy them? When it comes to marketing and advertising, even for pdf files, you will want to know your audience. Who are you targeting with your digital product? Doing a little research on your audience will allow you to engage in marketing and advertising schemes that are effective and lead to more sales. After a few sales, you will find your efforts have paid for themselves. As a PayLoadz member you will be able to take advantage of our marketing tools to get the word out on the street about your products. 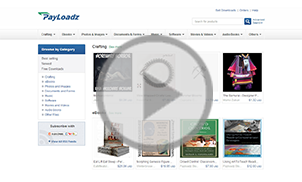 Not only do we have an excellent affiliate program that will earn you extra revenue while also boosting your pdf file sales, our e-store offers featured listings that make selling even easier. Why not get started today? How are PDF Files Delivered? There are a number of different delivery systems when it comes to selling digital products online – and that goes for pdf files as well. Delivery is integral to the success of your sales, so take care in selecting which method and platforms. The most frequent delivery systems include download pages, URLs, email delivery, and a combination of those methods. However, we do have a word to the wise – make delivery as easy and painless as possible for your customers. Do that and you will have returning customers every time! If you haven’t already figured it out, PayLoadz specializes in digital download delivery. That’s our specialty. No matter what your pdf file holds, we can deliver your products easily and automatically once payment is received. We can even implement pdf password options for additional security when delivering your products. Our system is reliable, secure, and hassle-free. As an online pdf file seller, you are probably in this industry to earn a living, right? In order to do that you must get paid for each sale you make. So, how do you do that? With PayLoadz, it couldn’t be any easier! We know the importance of making a purchase quickly, easily, and safely. In many cases, speed is of essence – and the easier it is to pay, the better for your customer! Setting up your own bank payment and credit card processing systems can be time consuming and costly. We suggest you take advantage of the more affordable options out there like PayPal and Google Checkout. These low-cost solutions fit right in with our payment platform and gateway and most consumers know and trust them. PayLoadz even offers full integration of these systems to make accepting payments even easier on you. What’s Stopping You from Selling PDF Files? Now that you know the basics of selling pdf files safely and securely online using PayLoadz, what’s stopping you? If you aren’t already a PayLoadz member, we urge you to sign up today. Signing up is easy and free! 2.9% + 29 cents per txn Micropayment rates too! Our download delivery service is easy for both sellers and buyers to use. 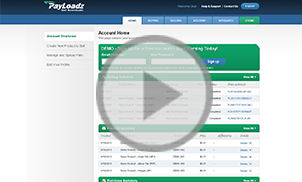 Click on either of the videos below to see how simple it is to use PayLoadz to purchase or market your digital goods.. Copyright Policy: Do not upload any content without the owner's permission unless they consist entirely of content you created yourself. service. Read our DMCA Policy. Simply share this product with your friends and family and earn reseller revenue for every purchase made. Enter your email address below in order to get paid out via PayPal when a sale occurs. We take care of everything; you just share and make money! Terms of service We will keep your information private. We only use your email to create an reseller tracking account so we can pay you. By entering your email address, you agree to the PayLoadz Terms of Service.